Kay graduated with her Bachelor of Dental Surgery from Otago University in New Zealand and has been seeing patients for nearly ten years. She has been practising in QLD before moving to Victoria with her husband George to be closer to family. 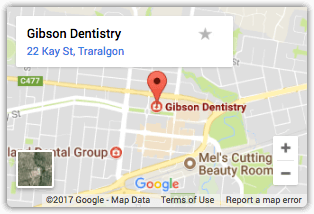 Kay and George have called Traralgon ‘home’ and were very happy to work with Dr. Graham Berrett at the practice. They appreciate the welcoming sense of community spirit in the Gippsland region, and the lifestyle allows them to enjoy their love of open space, and so their three spoilt pets can roam wild as well. Besides her love of general dentistry, Kay appreciates treating young children and whole families. She believes dentistry can be for everyone, and always endeavours to make the experience of coming to the dentist much easier. Kay focusses not only on general dental, but also has an interest in treating gum disease (periodontics), sleep apnea, and restoring smiles with dental implants. She is also a provider of happy gas to make your visit as comfortable as possible. Kay is a member of the Australian Dental Association, and along with George, attends continuing education to be able to provide the best care for her patients. In her spare time, when not looking after the baby, Kay potters around the garden, or plays with the pets, and indulges in good food and wine. 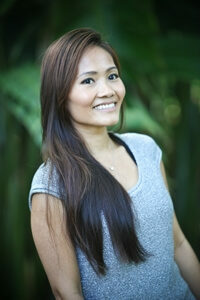 She also volunteers her time abroad providing dentistry to charitable organisations.